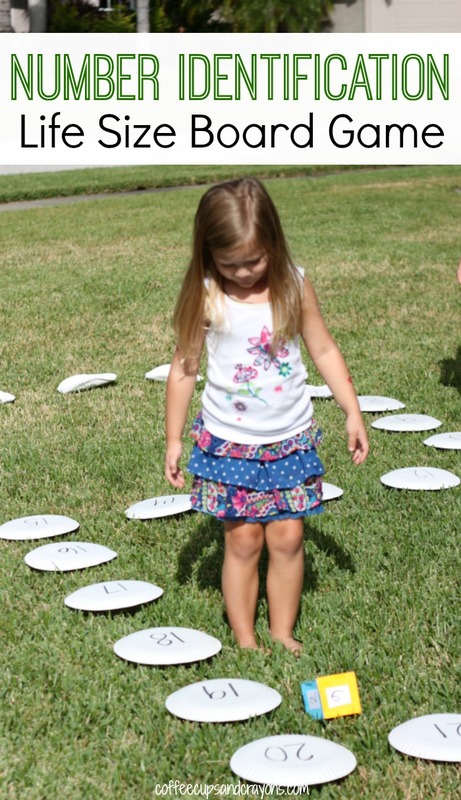 We came up with a simple way to practice number identification–a life size board game! 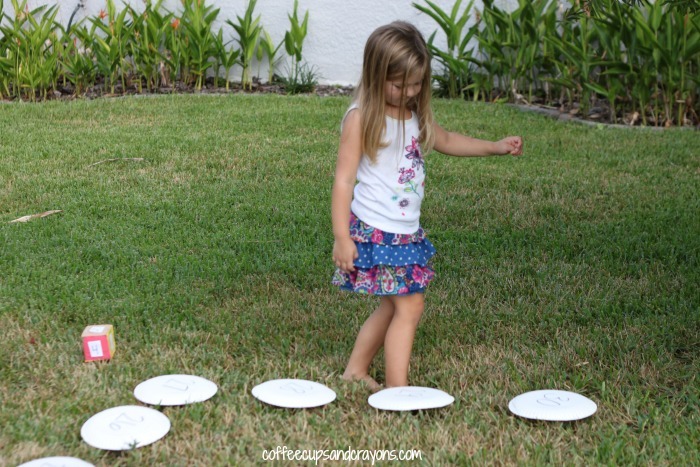 It’s perfect for preschoolers who are working on recognizing those higher numbers. 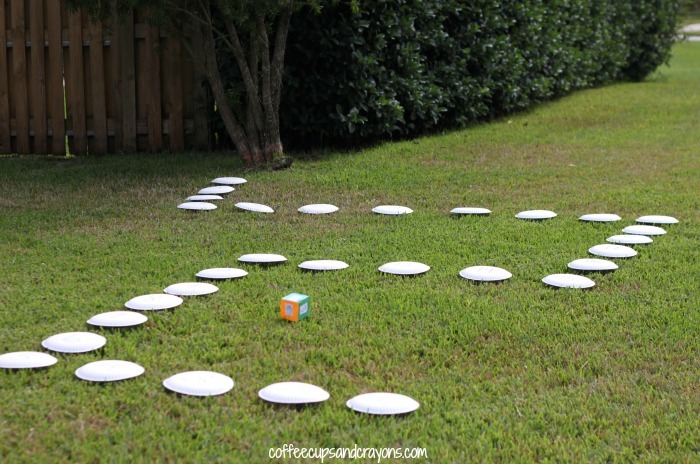 I wrote the numbers 1-30 on paper plates with a marker to serve as the board game squares. We used the die we had made from a box for our Colorlicious Game. You can tape a square shaped cardboard box shut to create one too. I then wrote numbers on each side. I set up a life size game board by making a path out of the plates. The kids took turns rolling the die and moving themselves around the board. They would take turns identifying the number they ended up on after each turn. This life size board game can be set up in minutes and is full of learning. It can also be easily modified to work on other math skills or sight words too. These simple ideas are my favorite types activities because they are the ones that get done over and over again. We also played it indoors just as easily which makes it a great way to move and learn all year long! Thanks Allison Sonnier! The kids have been playing every day!